Very reliable robust and easy to use. 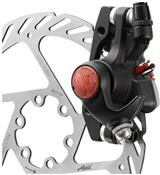 I have used Avid mechanical discs on a previous bike. 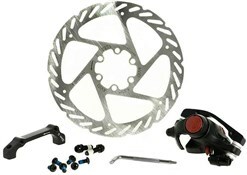 I am buying these again for a new bike in favour of hydraulic discs as they are more reliable and easier to maintain. I have recently brought the Avid BB5 disc brake for my mountain bike to replace the original disc brakes that came with the bike. I must say I was extremely surprised with the new brakes performance compered to my old ones.